The unfortunate truth is, HVAC repairs are nearly unavoidable. Almost every corporate HVAC system will suffer from a breakdown at some point, and it is rarely convenient for the property manager, business owner or tenants. At Victory Heating and Air, we are committed to providing our customers with quick and reliable service calls. We understand how frustrating it is to be in a corporate space that is not comfortable, and we will work our hardest in order to get your system up and running as quickly as possible. As the leading commercial heating and cooling company in Apple Valley and throughout the High Desert region, we are known for our expert service and quick response time. 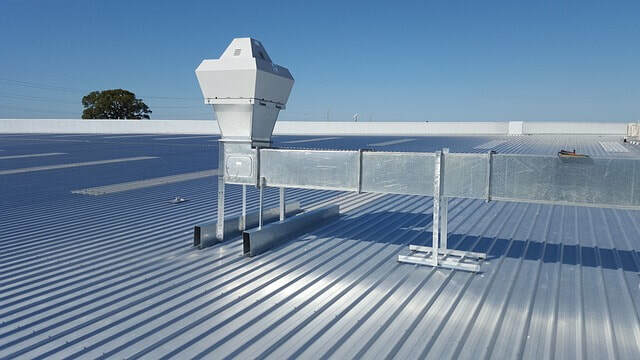 When you have issues with your air conditioning system, your heating system or your HVAC ventilation, you can contact us, and we will get to your commercial property as quickly as we can. ​Our expert HVAC repair technicians will provide you with a reliable diagnosis and expert advice regarding the repair of your commercial HVAC system. We work solely in commercial buildings, so we know these systems intimately. Many other HVAC companies offer both residential and commercial services and do not possess the same expert knowledge that we do of these unique HVAC systems. After you place your service call, a qualified technician will arrive at your commercial property in a short amount of time. The technician will treat your space with care and respect, and quickly get to work in order to diagnose the issue at hand. We are known for our reliable diagnoses, and we always provide our clients with honest recommendations for repairs. You do not have to worry that we will recommend an unnecessary repair. We are known for our integrity, and our high level of customer service and our customers trust that we will only make the repairs that are absolutely necessary. When fixing an air conditioner or furnace within a commercial system, we often take extra measures in order to ensure that the equipment runs better than it did prior to the breakdown. We can make simple tweaks to the system that will allow it to operate more efficiently, and will prevent further breakdowns in the future. We also offer preventative maintenance programs for our commercial clients who are interested in extending the lifespan of their equipment. If you are in need of an HVAC repair, contact us today.